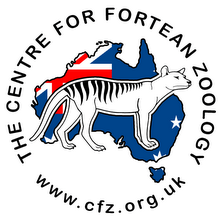 Centre for Fortean Zoology Australia: Thylacines at dog shows - what next? 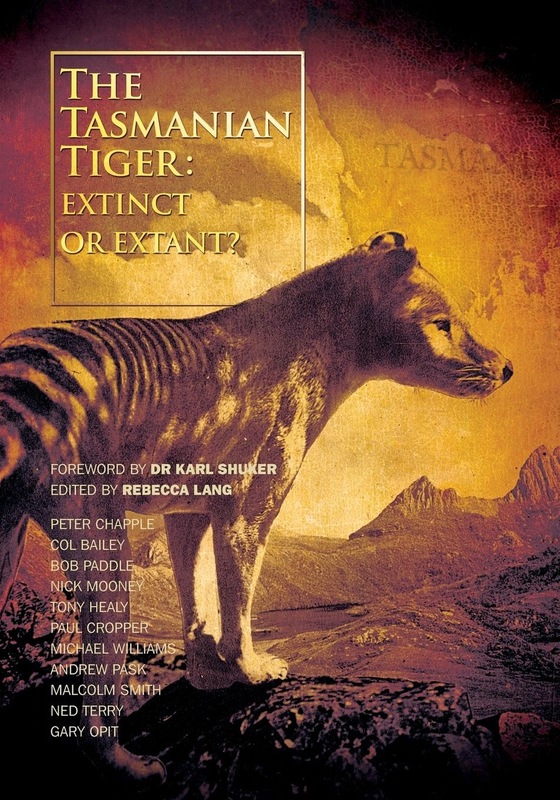 The CFZ's Richard Freeman chanced upon a fascinating article by Australia's Bob Paddle that delves into the procurement of Thylacines, also known as Tasmanian Tigers, for zoological parks - and dogs shows! "It was reported in the daily press that "Mr T. D. Jennings . 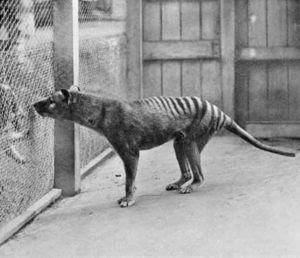 . . after a great deal of trouble has succeeded in getting a Tasmanian Tiger captured alive, which it is his intention to forward to the Sydney Zoological Gardens" (Tasmanian News 1885a). The specimen had been found and bought amongst the stock put up for auction at the Campania sale (Tasmanian News 1885b), its locality of capture only noted as "caught in the Buckland district" (Tasmanian News 1885a). Thylacines were frequently kept in captivity by private individuals throughout the nineteenth and early twentieth centuries, and thus it was not unknown for specimens to occasionally appear for sale in the canine sections of agricultural shows."